Don’t get me wrong; Melbourne is one of the most blessed cities in the world – and easily the most blessed in Australia – when it comes to dining out. We’ve got a stunning selection of coffee from all corners of the globe, and as many cuisines to choose from as there are countries on earth. 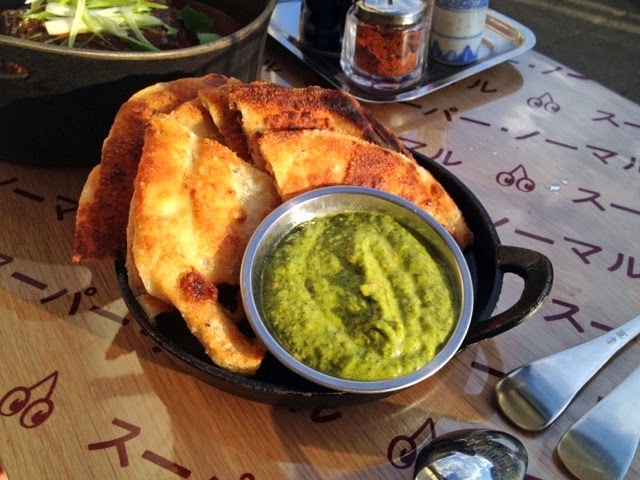 Our food scene gives a new meaning to the term 'the Lucky Country'. 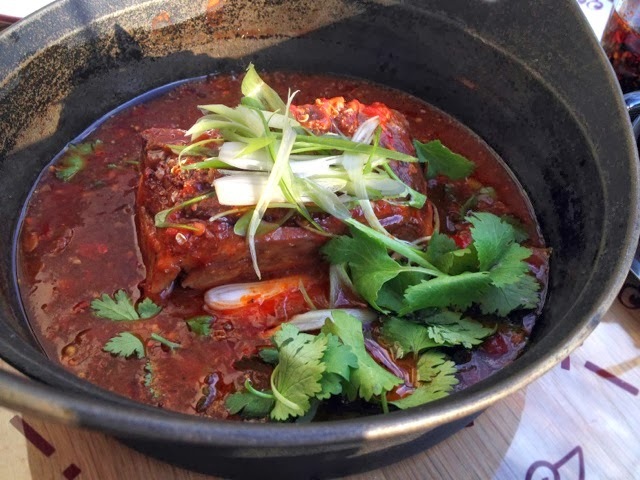 But with my impossible, ever-growing list of restaurants to try and the unreliably positive reviews of bloggers (not to mention ‘overviews’ in place of reviews in widely read publications such as Broadsheet), it’s rare that a restaurant lives up to the hype. 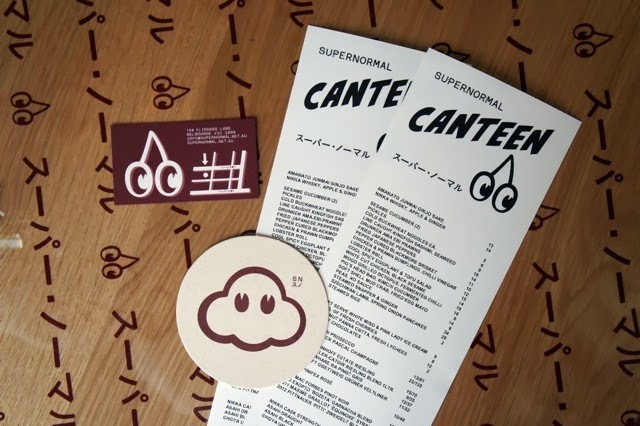 Here’s the good news: Supernormal Canteen by Andrew McConnell (Cumulus Inc., Cutler & Co., soon-to-close Golden Fields, Moon Under Water and the Builders Arms) lives up to the hype. The bad news is you have until March 1 to get there. 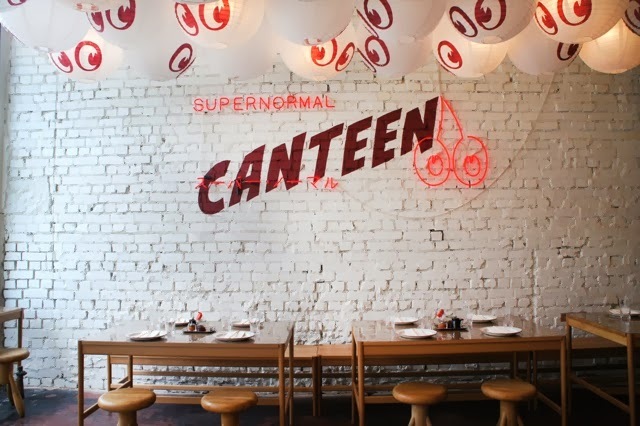 In arguably the cruellest twist of fate since the final look of horror exchanged between Leo and Claire in Baz Luhrmann’s Romeo + Juliet, Supernormal Canteen in Fitzroy’s booming Gertrude Street is a pop-up restaurant. But before you go damning McConnell to culinary hell, fans can take comfort in the knowledge that a more permanent Supernormal is opening on Flinders Lane to coincide with the closure of the pop up. 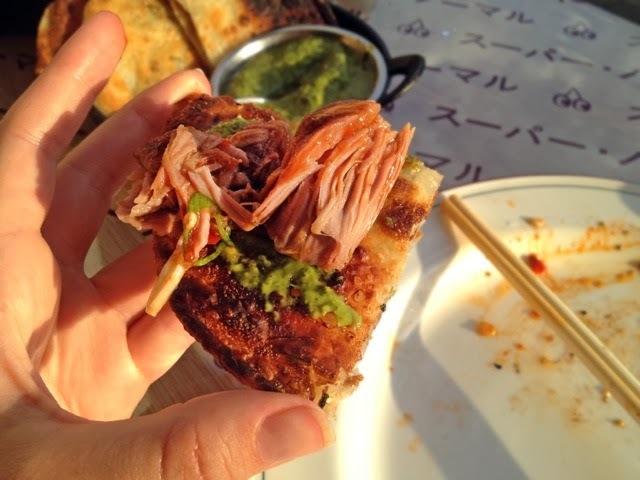 “Supernormal is fun, short, sharp and a great celebration of what we do, but that’s exactly why it’s fun – it’s temporary and relaxed,” says McConnell. Located beside Cutler & Co. in what was McConnell’s storage space for last seven years sits a stunning example of his Asian-influence cooking. 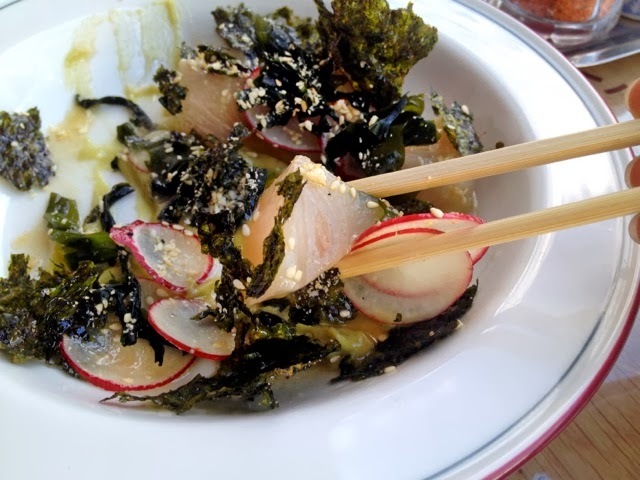 Start with some sake and raw chunks of line-caught kingfish. It’s so fresh you can visualise it rejoicing its fate as the fisherman reels it in. This summery share plate comes scattered with sesame seeds in a reef of dried seaweed, semi-translucent slivers of radish and smooth avocado purée. If you’re part of McConnell’s lobster roll cult that’s on the menu too, but you’re better off with the pig’s head bao. 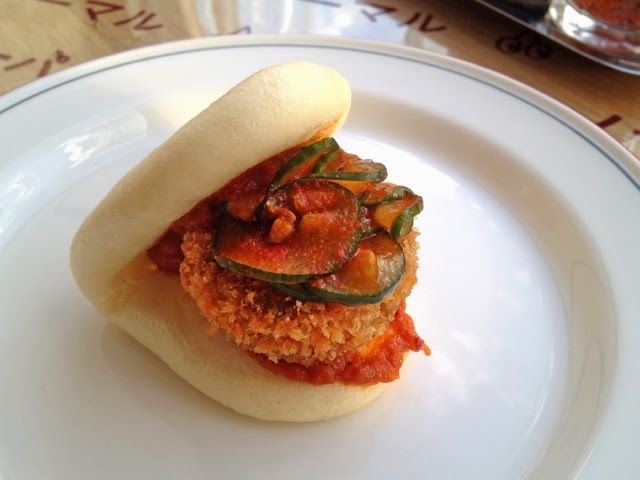 It’s not as scary as it sounds: the most tender, flavourful parts of the animal are formed into a panko-crumbed pattie and fried, and then wedged into a steamed milk bun with fermented chilli sauce and pickled cucumber slices. It’s a revelation, and goes down brilliantly with Asahi on tap. 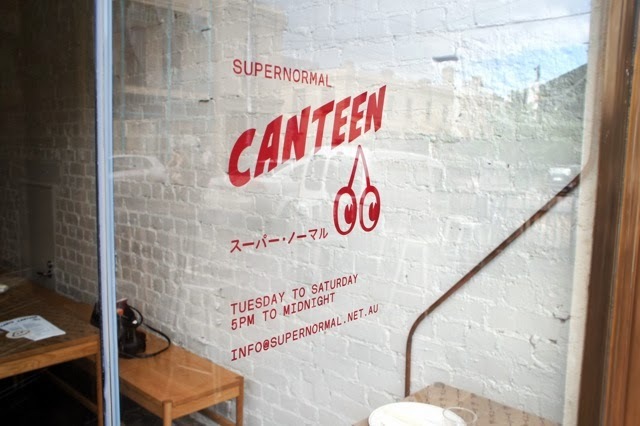 Supernormal Canteen is full from 6:30pm, but you shouldn’t have any trouble if you skip lunch and rock up at 6pm. It’s difficult to tell whether the crowds are due to the limited-edition nature of the restaurant or if it’s simply that good. Originally the pop up’s lifeline was going to be cut on December 21st last year, but following building delays at the CBD restaurant – and overwhelmingly positive feedback from customers – McConnell extended the Canteen until the start of March. “The objective was to try dishes, but also to do something fun. It’s a great juxtaposition to the style of dining next door [at Cutler & Co.],” says McConnell. Next door an entrée such as the pretty raw forest of steak tartare with herb emulsion, leek and mini peaks of crème fraîche will cost you $25. 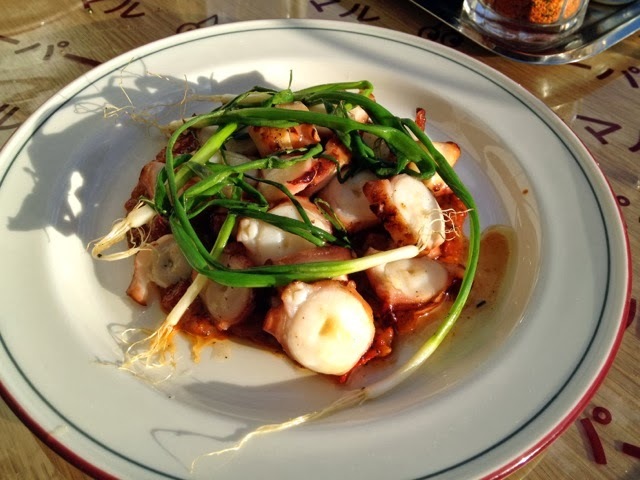 But if you swap your turf for surf at Supernormal, firm slices of charry, wood-grilled octopus strewn with spring onion on chunky fermented chilli will only set you back $16. 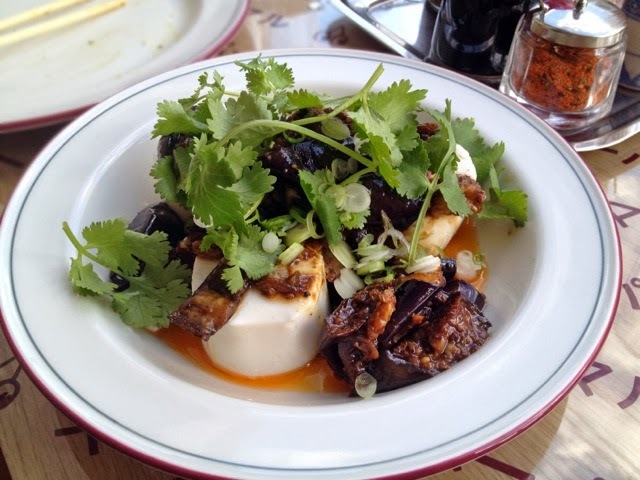 Cool eggplant in a spicy puddle of oil is married with soft, squat cylinders of silken tofu and reminded me of a variety I ate in specialty tofu shop in Pontocho – a narrow alley lining the Kamo River in Kyoto – with the complexity of freshly made buffalo mozzarella. She had to have another. In her sleep it made her drool. She woke in a saliva pool. With mint sauce that made her crazy. "Why is the food so bloody good?" Poetry aside, the lamb may be short lived. Supernormal Canteen has been labelled a “test-kitchen” on the website, and there’s every chance deserving dishes won’t make it to the restaurant when it opens. “We are constantly evolving how we cook; it’s never static. Supernormal Canteen is the start of the evolution, the first take,” explains McConnell. 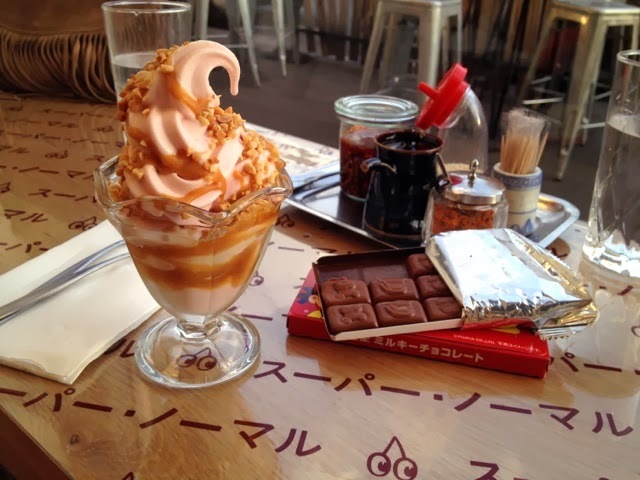 The soft serve is the go-to dessert, a creamy pink lady and white miso swirled peak in an old school-style sundae glass, drizzled with salted miso caramel and a handful of crushed peanuts. It covers all bases with a playful balance of sweet, sour and salty. Chocolate lovers will be disappointed by the other dessert options – coconut panna cotta with lychee or a bowl of fresh cherries – but a $2 coin and a trip to the vintage vending machine at the back wall will return your choice of Asian chocolate bar. As if I wasn’t already enjoying myself enough, my $2 coin accidentally scored me double chocolate bars. Supernormal indeed. 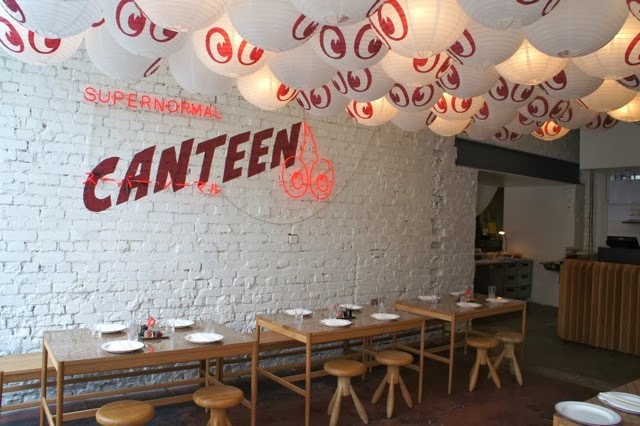 Although the pop up only launched in November as part of The Age Good Food Month, Supernormal Canteen looks and feels as though it’s been around for years. McConnell invested in Projects of Imagination to design the space with white walls, neon lighting and a paper lantern covered ceiling that looks down on diners with maroon, cartoon eyes. I’m dubbing the style ‘contemporary Super Mario Brothers a la Nintendo 64’. McConnell has plans for the venue once Supernormal Canteen vacates. “I like the idea of this space being multidimensional, with themes and parties and pop ups,” he says. Keep an eye on the Gertrude Street spot: come spring and next summer, McConnell has hinted that he wants to bring in interstate and international chefs to take over in a collaborative pop up. It’s just another reason we live in the Lucky Country.